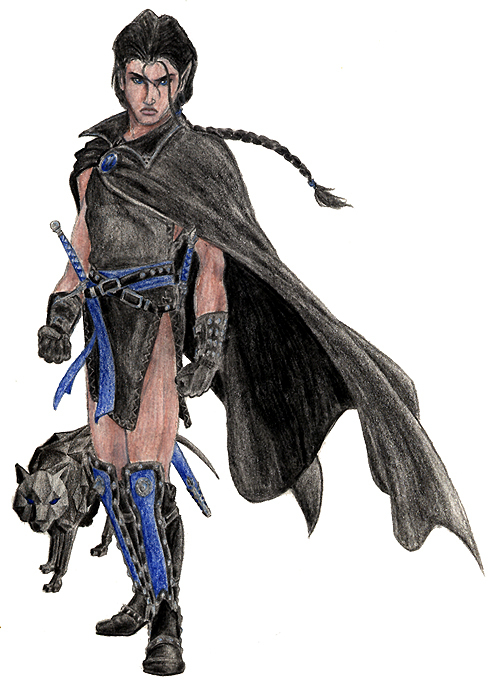 This elven ranger is an unusual piece in that it is a prismacolor pencil SKETCH. Usually I'll get more detailed before adding color, but I really wanted to get a quick impression of this character. The end result was better than expected.